Computer Repairs St Lucia – We Come To You! Looking for computer repairs in St Lucia? You’ve found the right place! We offer laptop repairs in St Lucia to all universities, homes and offices and surrounding areas! We are located only 5 mins from the University of Queensland and offer on-site computer repairs services to St Lucia, Toowong, Auchenflower, Milton, Taringa and anywhere else in Brisbane! Get your laptop computer fixed today call 1800 706 676 or contact us – There’s no need to go anywhere else! Our experienced team of on-site computer repairs technicians in St Lucia offer speedy computer repairs that can ensure you get back on track quicker than leaving your laptop with a shop. Our experienced laptop PC repairs technicians come to you, and we have absolutely no call out fees. What sets us apart from our competition are our competitive flat rate repairs. What this means is, whatever the issue you have, we’ll fix it for an UN-TIMED flat rate. Yep, No need to watch the clock at all. Whether it be a slow computer, endless pop-ups, hard drive failure, or just a helping hand, Computer Fixperts St Lucia can come to your rescue wherever you might be in St Lucia. Why Choose Us? Click Here And See! Computer Fixperts St Lucia – We got you covered! So your computer needs repairing and you have an assignment due! Are you a student currently studying in St Lucia? Be sure to ask Computer Fixperts about our STUDENT CONCESSIONS! 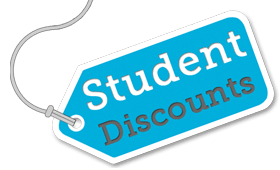 (We offer student card holders 10% off our standard flat rate computer repairs service). We’ve been servicing both residential and business customers in universities and the suburb of St Lucia and surrounding areas for just over 2 years now. St Lucia is just 6km from the heart of Brisbane and is home to many students studying at the main campus of the University of Queensland. St Lucia is a popular spot for university students and is widely regarded as one of Brisbane’s most affluent suburbs. Do you have a broken laptop screen? Our experienced laptop screen repairs specialists can have your broken laptop LCD replaced same day. Why not take a look at our laptop screen repairs Brisbane page. Computer Fixperts specialise in providing not only consumers with awesome onsite tech support, but also small businesses. Our computer technicians in St Lucia are able to take care of your business related IT needs without you needing to sign up to scary, locked in contracts. We can work with you and your businesses to find a tailored solution that meets your requirements. Whilst working on your network or computers, you’ll be able to watch everything our technicians do and can walk every step of the process with us. Computer Fixperts offer a truly personal, Local to St Lucia computer support team of professionals that are able to assist when you need it most. Hit the “check out our services button” to read more about what we can offer you. Otherwise if you would like to get in contact with us call – 1800 706 676.